I’ve recently played a concert with my orchestra, the Geneva Camerata, in which we performed the Hippolyte et Aricie suite by the French baroque composer Jean Philippe Rameau. The last number of the suite was a set of 2 Rigaudons – a quick dance, originated as a folk dance in France. I had to play a piccolo solo with percussion at the beginning and the whole orchestra joined after one round of the piece (unfortunately not on the video below) and I wanted to make some ornamentation for the repeats. In the case of this dance, the ornaments should not interfere with the rhythm of the dance and should just make it sound lighter and virtuoso. 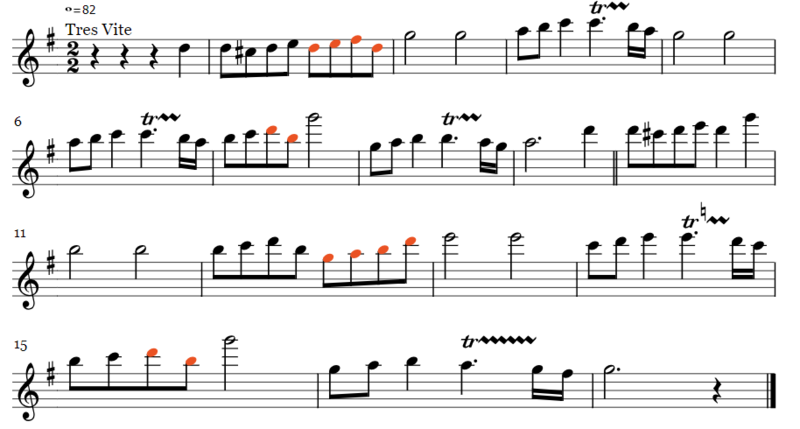 If you play the ornamented version in a very quick tempo (we played in a tempo in which a whole bar equals 82), then the first bar turn to be quite challenging for the fingers and coordination with the staccato. I therefore thought I could make out of it a great exercise for you for improving your finger technique and control – and it can become an ornament you can use in many other pieces – in whatever key you’ll have to play. The main difficulty of the passage comes from the ‘turn’ in the middle of the passage: Going down, up, down and again up creates the challenge to our brain and our fingers. In various rhythms (dotted rhythms works very well for practicing). Play twice each note written for working your double staccato. Add some different slurs to practice your tonguing with different articulations. 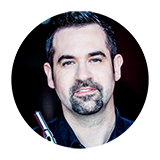 If you haven’t read it yet, you can find my guide for Baroque interpretation and articulation for the modern flutist (including 3 parts about the hierarchy of the bar, micro dynamics, articulatory silences, Bell notes and many exercises – all for FREE). Try it out and let me know how it feels. Ory. "After years, for the first time I can say I have a good sound. Every day!" 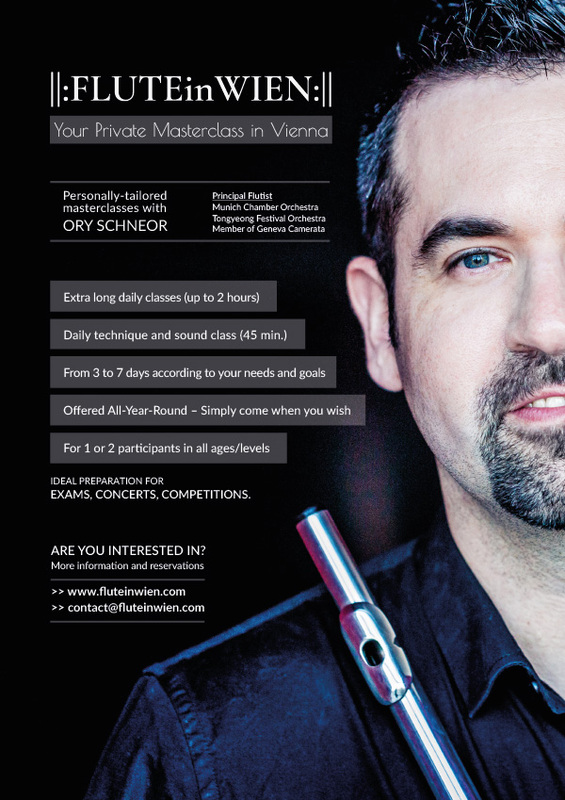 Have Your Own Private Masterclass in Vienna and have a good sound. Every day!